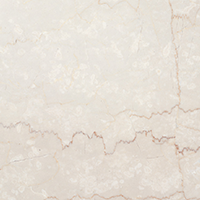 With its aesthetically pleasing coloured veining on ivory white base colours, its structural compactness and strength, not to mention its versatility in architectural and artistic projects for both interiors and exteriors, Botticino Classico is quite unique and unmistakable, like its area of origin. It is quarried exclusively to the east of Brescia in the Municipality of Botticino by a fabric of small and medium sized marble quarrying and working businesses which drive the thriving local economy. These dynamic, technologically advanced and forward-looking operators provide highly skilled labour and constant quality control. In a market where the competition regularly offers customers what it improperly calls “Botticino”, but is in fact different quality beige marble from other sources, extracted and worked at low cost, the local product stands out for its unbeatable value. The limestone formation to the easts of Brescia, from which Botticino Classico is quarried, developed between 190 and 60 million years ago through a slow and constant process of sedimentation, cementation and re-crystalisation of limestone muds in an inland sea during the Mesozoic period. 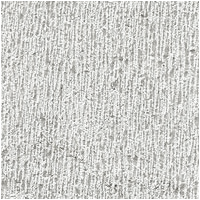 The organisms which make the Botticino Classico sediments so unique lourished in the tropical climate, giving the marble its remarkable chromatic variety as a result of differences in the concentration and configuration of organic and inorganic inclusions in the uniform base paste, composed of fine, carbonatic and predominantly calcareous mud known as “micrite”. 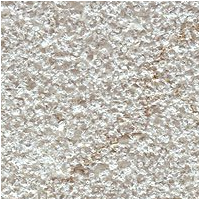 The extremely compact structure of Botticino Classico makes it ideal for exterior use, offering not only low levels of absorption and porosity, but also excellent mechanical qualities, like resistance to compression, lexure and wear. 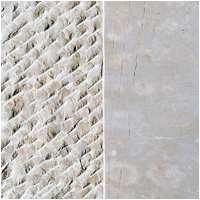 Both strong and beautiful, Botticino Classico is universally recognised as the finest of marbles in any context. In the table the main chemical elements present in the Botticino Classico are described in percentages.